>> What Exactly are Enzymes & What do They do for your Skin? Whether you realize it or not you have enzymes in every cell in your body. Enzymes are special proteins which help cellular reactions take place and your entire body relies upon these enzymes to function. But how does this help us understand what enzymes are doing when you put them on your skin? Facial enzymes are a special type of enzyme which helps to improve the overall texture and quality of your skin. The enzymes that we use on skin are completely different from the enzymes found within your cells. These enzymes are often found from outside sources (usually plants or fruits) and then placed topically or directly on your skin. Once they are left on the skin they perform very interesting functions which can help improve the quality of your skin. What are enzymes doing when they are placed on your skin? They digest dead skin cells. They soften up sebum and open your pores. They exfoliate, leaving your skin looking fresh and new. They are activated with water and in the presence of steam. These are just a few of the reasons that you may want to consider using enzymes as part of your regular skin regimen. Not all enzymes work the same and not all enzymes should be used on all skin types. Some enzymes are better for sensitive skin, some are better for those with hyperpigmentation, some are better for people with inflammatory conditions such as rosacea, and so on. Because of this, picking the right enzyme to match your skin is very important! You can also take your enzymes to the next level by adding certain acids, vitamins, and serums to your enzymes to enhance how they work and function. In this way, it's possible to create enzyme concoctions which are ideal for very specific skin conditions. This is part of the reason why you almost always find fruit enzymes combined with other fruits! Pumpkin and orange, coconut and papaya, pineapple and lemon zest, and so on. Combining enzymes together can enhance your results, so don't be afraid to play around with the fruit enzymes listed below to find what works for you! Passionfruit contains plenty of antioxidants and an active ingredient known as piceatannol. This enzyme helps to warm up the skin which helps to stimulate fibroblasts. The net effect is that it is firming and toning to the skin. Passionfruit can be applied directly to the skin or it can be formulated in enzymes masks and peels with other ingredients. The passionfruit enzyme that I use contains passionfruit, Kollaren, rapeseed oil, and noni fruit which all compliment each other. What type of skin is this enzyme good for? Raspberry contains the active ingredient known as Rubus ideus which has been known to help lighten the skin. In addition, like all fruits, raspberries contain high amounts of anti-oxidants to help nourish the skin. The unusually high polyphenol content of raspberries makes it ideal for skin which has mild to moderate inflammation, redness, or irritation. 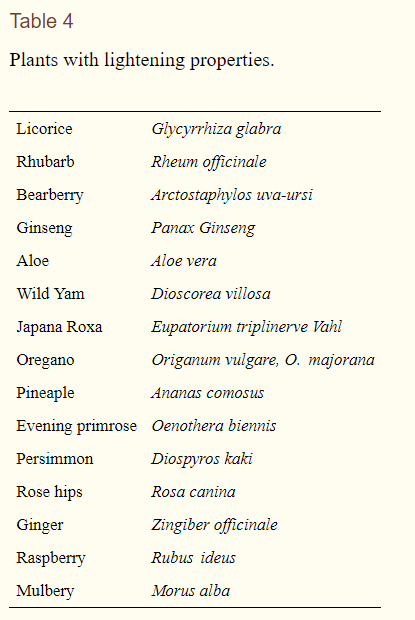 These plants can be combined with raspberry for even better results! Papaya enzyme is probably one of my most favorite enzymes to use. It has been well studied and contains a number of different enzymes which can help your skin. The most well-known include Papain and Caricain. Both of these enzymes work to remove dead skin cells and papaya is particularly useful for people who have sensitive skin! My husband's skin is very sensitive so we use this on him and he loves it. Add 1-2 tablespoons of fresh papaya (the greener the better) to a blender. You can also mash it together with a mortar and pestle. *Note: you can also add fresh pineapple and/or honey to the papaya to get an added benefit. This creates a stickier mask which can be left on for longer. Apply the mixture directly to your skin (it will be mushy) and let it sit for 10-15 minutes or until dry. Remove immediately if you feel a tingling sensation or if it starts to burn. Wash your face off and apply a toner to your skin. Repeat this process up to 3 times per week. If you don't see benefit using this method then you may want to try a cosmetic grade papaya peel (see below). The oils of lemon contain much of the ingredients you are looking for (and many of these oils are found in the skin of lemons) because they contain limonene. This enzyme is ideal for those with dry skin because it promotes deep skin hydration (unusual among other enzymes). Lemon zest is often combined with skin lightening agents such as kojic acid and arbutin. It can also be combined with skin tightening (anti-aging) ingredients such as glycolic and lactic acid. And, because lemon zest is loaded with anti-oxidants and vitamin C, it's ideal for damaged or older skin. Pomegranate has powerful anti-oxidants capabilities, but the enzymes in pomegranate also help to lighten and brighten the skin as well. The active ingredient in pomegranate is known as Punica granatum which is found both in the pulp and in the juice. This fruit enzyme is probably the single best at treating acne and brightening up the skin (even though it has other benefits as well). One of the main reasons that pomegranate works so well for acne is because it helps to dry up the skin and can reduce the oiliness of the skin. Pumpkin enzyme is another one of my favorites. 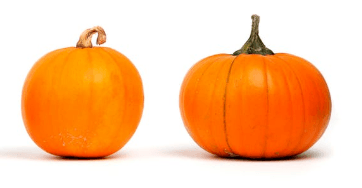 Pumpkins make an appearance in all sorts of skin care products, especially when they are in season. Pumpkin contains plenty of enzymes, Vitamin A, and Vitamin C. This combination helps to provide the skin with a healthy glow. The bioactive ingredients of pumpkin (known as Cucurbita pepo) have been well studied and are known to benefit the skin in a number of ways. I personally use pumpkin enzymes on clients when I know that they have tougher more resilient skin and they are looking to brighten up their face in the process. 1 tablespoon of cooked pumpkin flesh (you can also use pumpkin out of a can as long as it is cooked). You can purchase a pumpkin, take the seeds out and then bake/boil cubed pumpkin flesh until it is tender (like cooking a squash). Add the cooked pumpkin flesh into a blender or a bowl. Add raw honey (1 teaspoon should do) to the mixture. Add some Vitamin E oil (if you have it) to the mixture. Mash with a fork or blend ingredients until you have created a paste (you may have to add more pumpkin depending on how much oil you have). Once it is a paste then apply it all over your face and neck. Leave the mixture on your face for 15 minutes then wash off, be sure to tone afterward to balance your acid mantle. Repeat 2-3 times per week (don't leave it on for more than 15 minutes) and observe how you do over the next 3-4 weeks! The mixture will be quite orange but it won't dye your skin so don't worry about that. Note: 1 medium pumpkin should provide you with several months worth of face masks. Blueberries are loaded with anti-oxidants and polyphenols which make them ideal for mature skin and anti-aging. The enzymes in blueberries also help to brighten up the skin and help it to look younger. Blueberry enzyme is also frequently combined with glycolic acid and salicylic acid. Last, but not least, is the cherry enzyme. 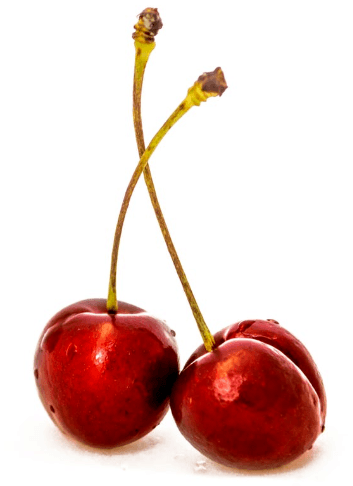 Cherries contain enzymes which help to brighten the skin. They are often combined with natural skin brighteners such as mandelic acid and kojic acid. Some of the more powerful cherry enzymes are for professional use only, but you can also get some less potent cherry enzyme peels as well. I will often recommend this peel (link to Amazon) if you want to get started and if you are suffering from hyperpigmentation. Another benefit to using cherry enzyme is that it's ideal for both normal skin types and combination skin types. One of the best parts about using fruit enzyme peels is that you always have the option of going the home-made route. Well, you can obtain some of the benefits from these enzymes by directly taking the fruit mentioned above, mashing it up and then applying it to your face. The only potential downside to doing this is that you don't always get a high enough concentration to obtain the results you are looking for. If you wanted to make a blueberry enzyme peel then you could easily smash up 4-5 blueberries and then apply them to your face with some honey. But imagine mashing up 1,000 blueberries and placing the enzyme from all of those blueberries into a compound which can then be applied to the face. Which would be more potent? The processed peel would of course. But that doesn't mean you have to use over the counter products or cosmetic-grade peels, you can always opt for the more natural route! What's the difference between a mask and a peel? Peels are more designed to be used with enzymes where you place the enzyme on your face for a set period of time and then remove it. Masks are designed to be used AFTER you use an enzyme and they help to restore pH balance and provide moisture directly to the skin. You can leave enzymes on your skin for long periods of time but it must be a low concentration if you opt for this route. It's important to note as well that you can get enzymes from other sources. 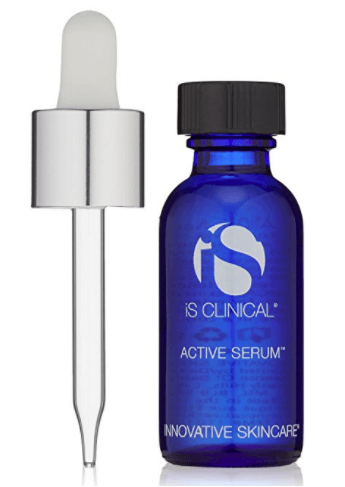 One of my favorite enzymes is from iS Clinical and is called Active Serum. Active serum contains a number of plant-based enzymes and acids which act to improve the overall quality of your skin. This particular serum contains sugar cane extract, bilberry extract, white willow bark extract, and mushroom extract. These plant-based compounds provide natural acids such as glycolic acid, salicylic acid, and lactic acid. I personally tend to use this to help my skin looking young and whenever I have blemishes (I don't routinely use it every day). Are there other ways to take advantage of enzymes beyond placing them directly on your face? Remember, when you eat foods or take vitamins/supplements, these things can also contain enzymes. You can also enhance the activity of these enzymes by taking certain steps such as remaining hydrated. Enzymes (especially facial enzymes) are activated with hydration and steam! Avoid processed foods! Try to eat organic and natural foods as much as possible. The answer really depends on you, your skin, and your preferences. In a perfect world, and based off of my own experience, I would highly recommend that each person at least tries an enzyme peel at some point in their life. They are especially helpful if you are suffering from skin conditions such as redness, irritation, acne, acne scarring, rosacea, and uneven skin tone from the aging process. You'll probably be very surprised at the results that you can obtain if you use the right ingredients! If you aren't sure if you want to get a cosmetic-grade enzyme peel then you can always start at home with home-made enzymes made from natural and organic fruits. I've created some basic home-made recipes and placed them in the sections above which you can refer to as a trial run! Just realize that this approach doesn't always provide the same results as if you were to go in and get a cosmetic-grade peel. Have you used enzymes on your face before? Have you tried natural fruit enzymes? Did they work for you? Why or why not?